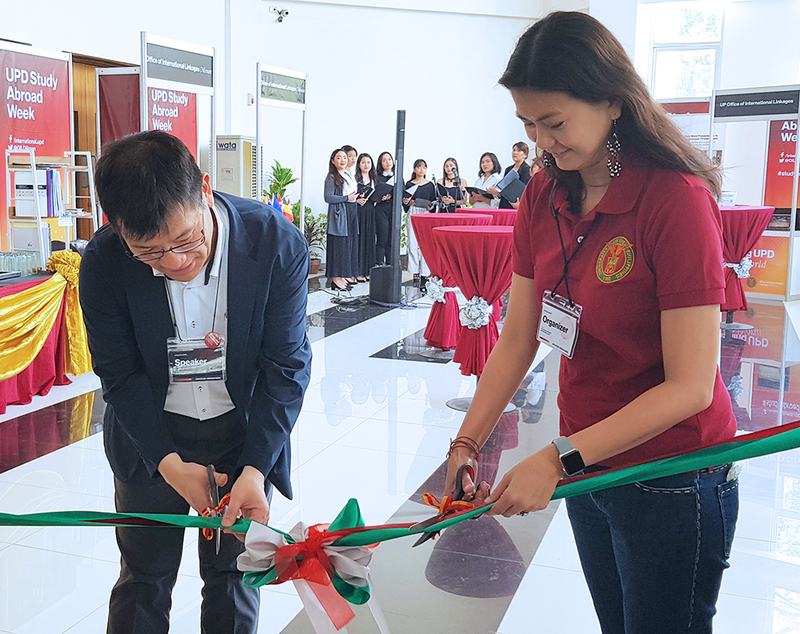 UP Diliman (UPD) students flocked to the School of Statistics from March 26 to 29 for the first UPD Study Abroad Week. 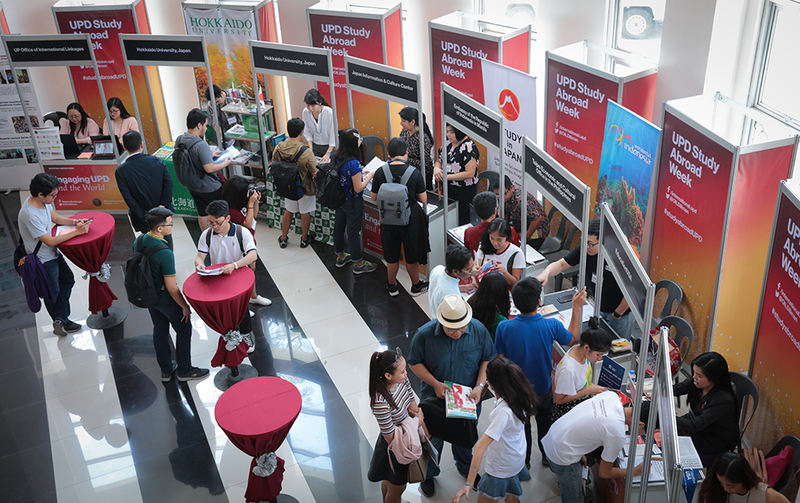 They visited information booths and listened to resource persons talk about UP’s internationalization initiatives, discuss opportunities to study in other countries, and share experiences of foreign exchange students. 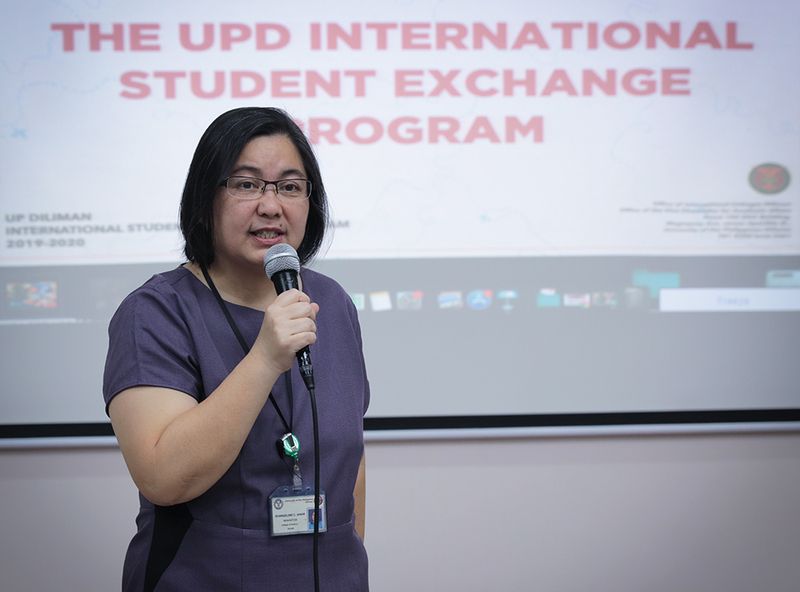 It was organized by the UPD Office of International Linkages (OIL Diliman). 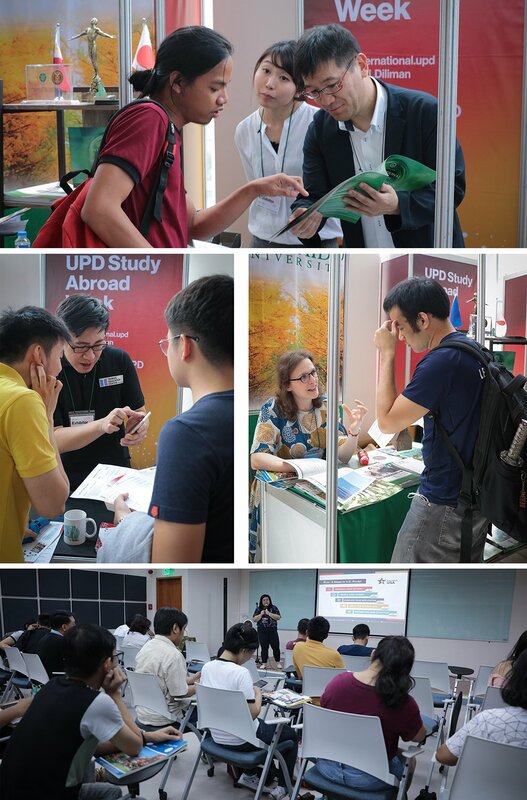 Apart from OIL Diliman and the Office of International Linkages of the UP System, other exhibitors were: Hokkaido University, Japan; Japan Information and Culture Center; Taipei Economic and Cultural Office in the Philippines; Embassy of the Republic of Indonesia, Manila; Education USA; Fulbright Philippines; Embassy of the Czech Republic, Philippines; Campus France; DAAD-German Academic Exchange Services; Consejeria de Educación, Embassy of Spain, Manila; IE University, Spain; and, UCAM Universidad Catolica de Murcia, Spain. 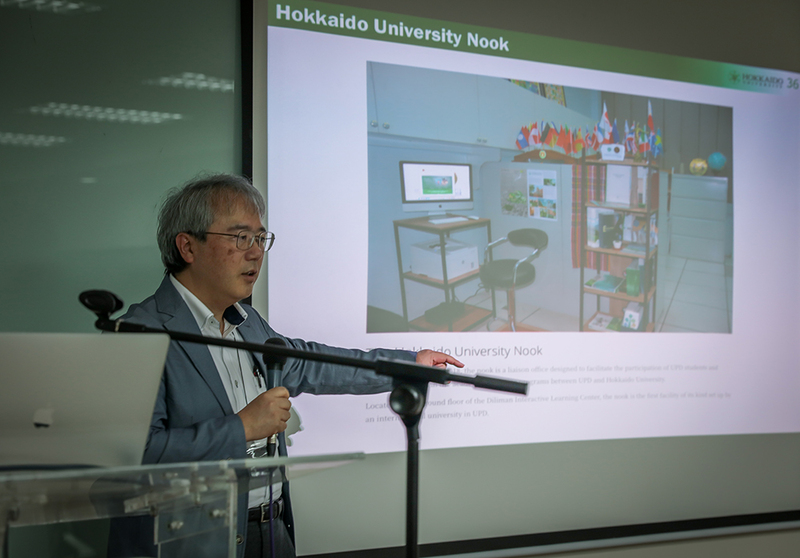 The four-day event featured talks on studying in: the USA; Asian countries such as Japan, Korea, and Thailand; and, European countries like the Czech Republic, France, Germany, and Spain, among others. According to UPD Vice Chancellor for Academic Affairs Evangeline Amor, while similar events have been mounted in previous years, those only lasted a day or two. 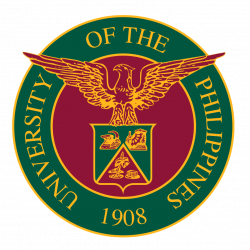 She is hopeful this year’s four-day format will continue so that UPD students can have more time to visit and attend the event.